Happy Sunday! 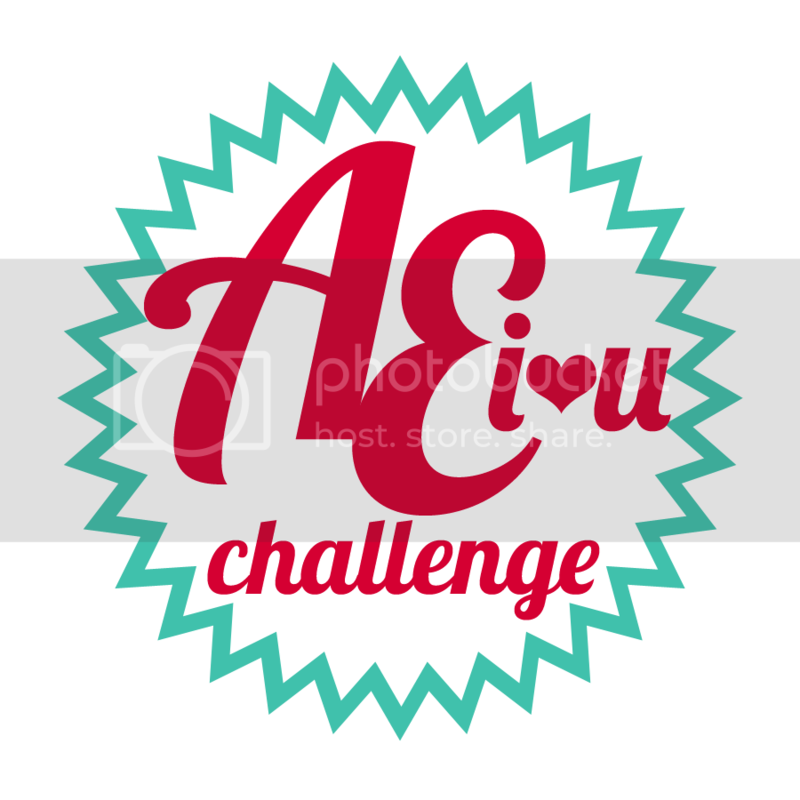 As I am on a crafting/blogging roll, Thursday night I made a second attempt at the Avery Elle's June AEI♥U Challenge. You can find my first attempt HERE. This time around I began with the adorable smaller tag from the Simply Tags: Everyday die designed by uber talented Nina Yang (yes she created the sketch above too). 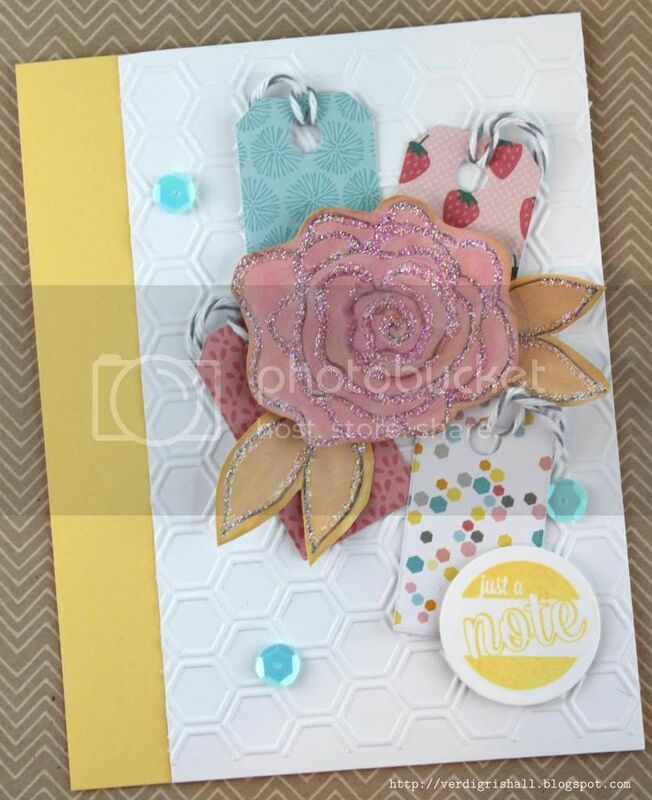 I cut 4 tags out of the My Girl 6x6 paper pad by American Crafts...such a sweet collection with pretty summery colors. I added some grey and white baker's twine to each tag. Now this is when things got dicey. I ended up playing around with these four tags a lot. And I mean a lot. Some cards come together quickly and easily and others just don't. This one was hard fought. 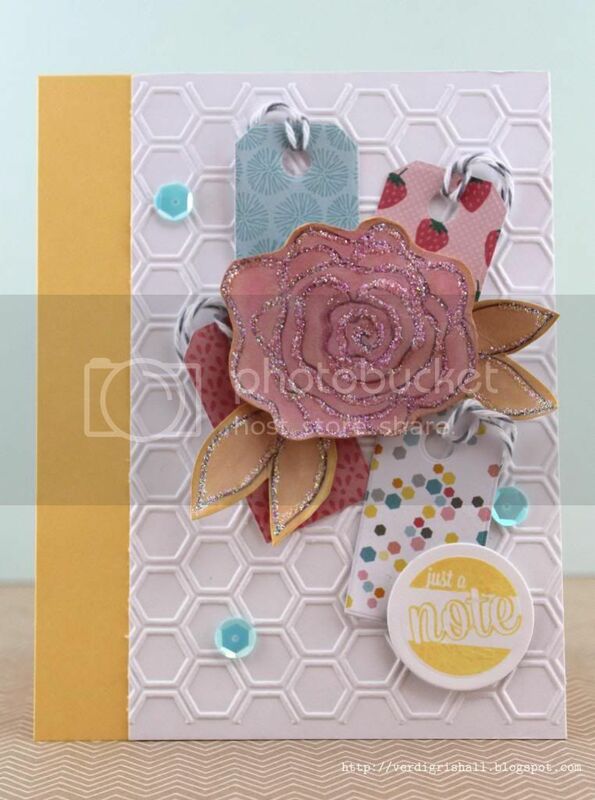 I decided to emboss the white panel with a nifty honeycomb embossing folder which mimics the hexagons found on the multi-colored hexagon patterned paper. I pulled out the yellow from the hexagon patterned paper and stamped the sentiment from Air Mail and then die cut it out. A little digression, if I may. Mail and travel themes go for my jugular. They slay me. I can't resist them. Seriously, can...not...resist. So imagine how thrilled I was with Air Mail. More thrilled than the camel on hump day. Watch out as I have a We R Memory Keepers Envelope Punch Board coming my way and I have not even scratched the surface on this baby! End of my little digression. 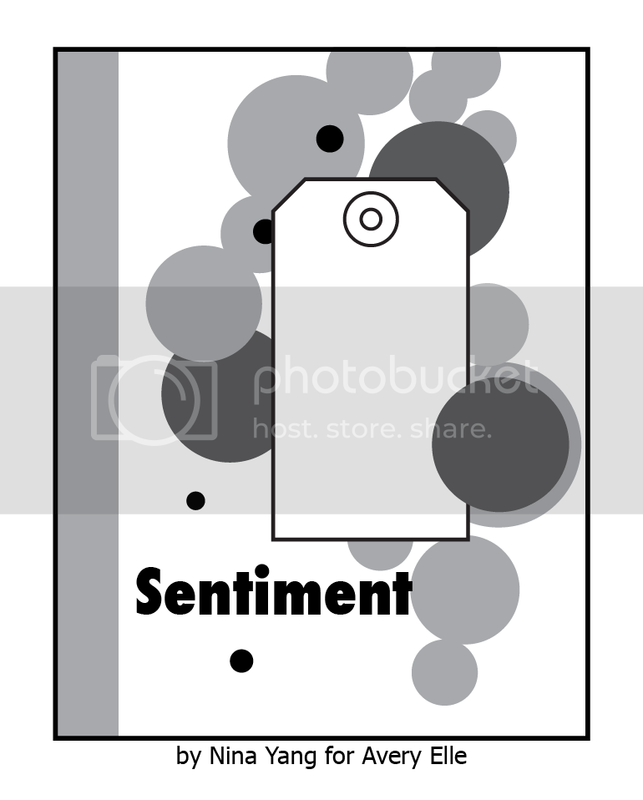 After placing the tags on the panel I figured what it needed was a central image. 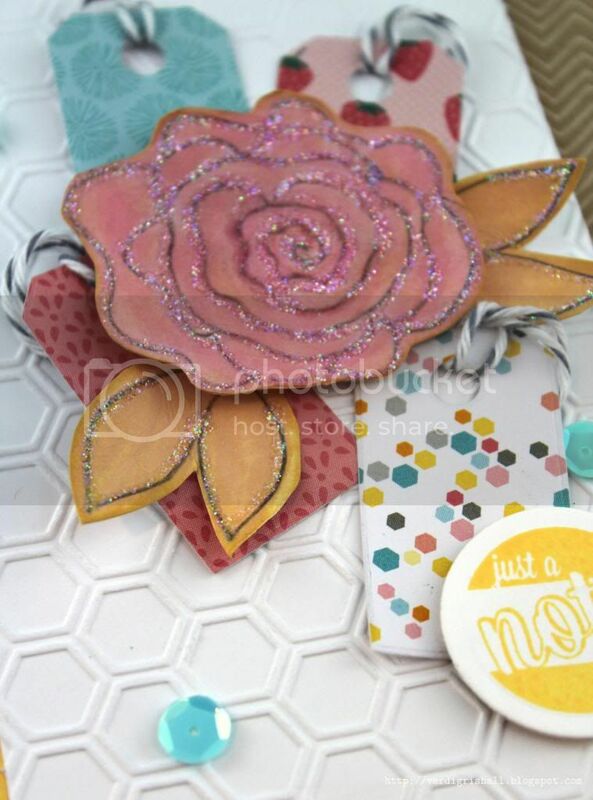 I went through chipboard, pages of stickers, cabochons and diecuts until I found a lovely diecut from the Amy Tangerine/American Crafts' Yes, Please collection Bits (die cut cardstock shapes). It was adorable, but not the right colors and a tad big for what I needed. Still it was a jumping off point. 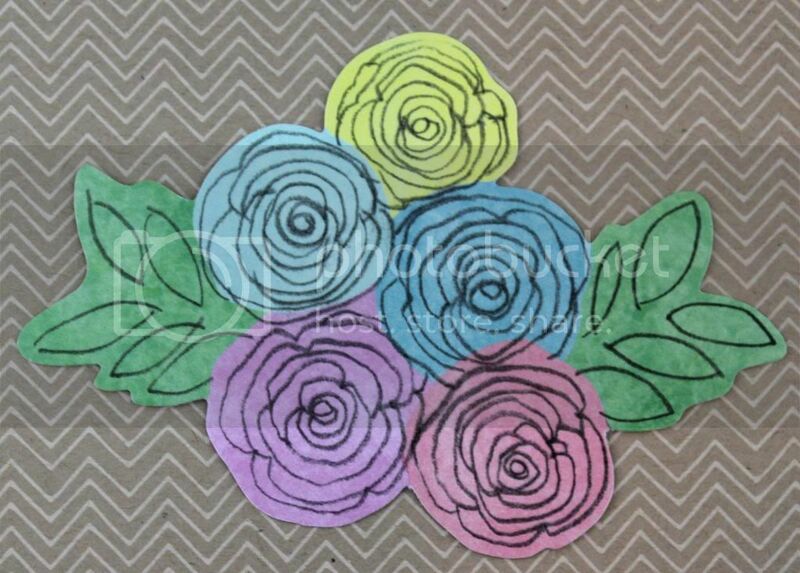 (Note to self: next Avery Elle order add Petals and Stems). I got out a pencil and drew a rose and some leaves in a similar fashion, painted it in with watered down Distress Markers and to get the right tone distressed the flower with Distress Inks. Now I was getting somewhere! I adhered everything down onto the white panel. Then I added some aqua blue sequins (needed some sequins!) and some stickles to the flower and leaves just for something extra. Last I adhered the white panel to a yellow card base. Voila! The tale of a challenging card. I hope you enjoy it and thank you for staying with me during my rambling. 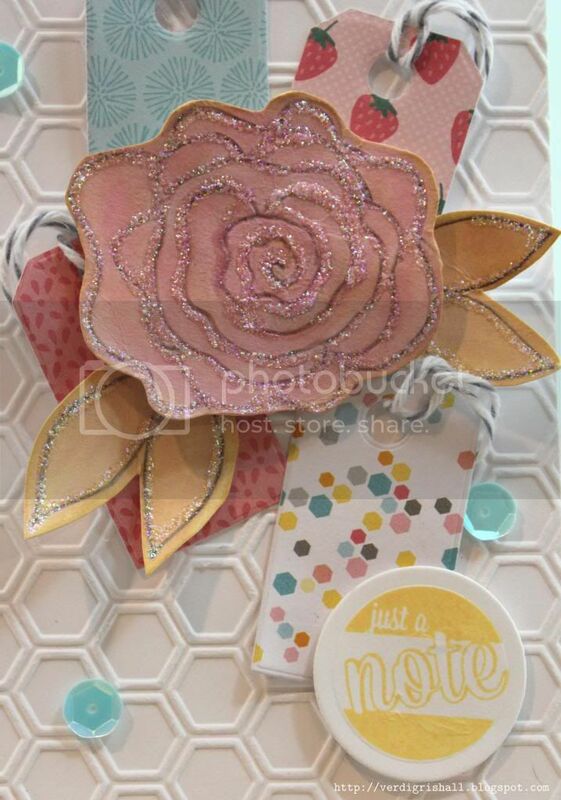 Love reading all the little bits about your card, Shay! Makes me happier than the camel on hump day! 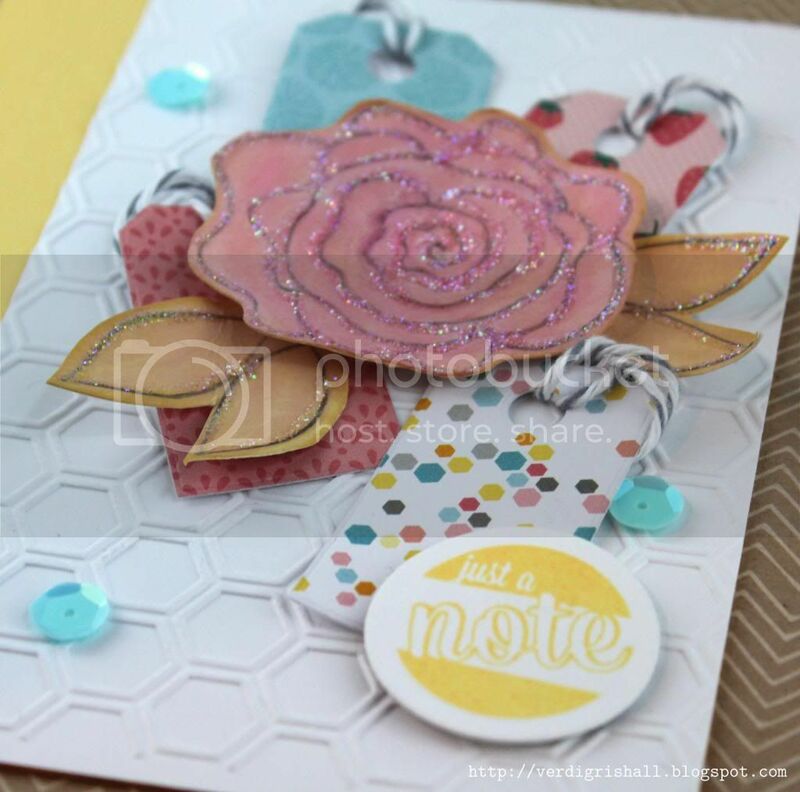 LOL It is such a fun approach to the sketch to use mini tags to accent the focal flower (you drew well, btw)! That dry embossed background ties everything together! Love! Have a wonderful week!